Subscription-based e-commerce is about retention, not one-time purchases. 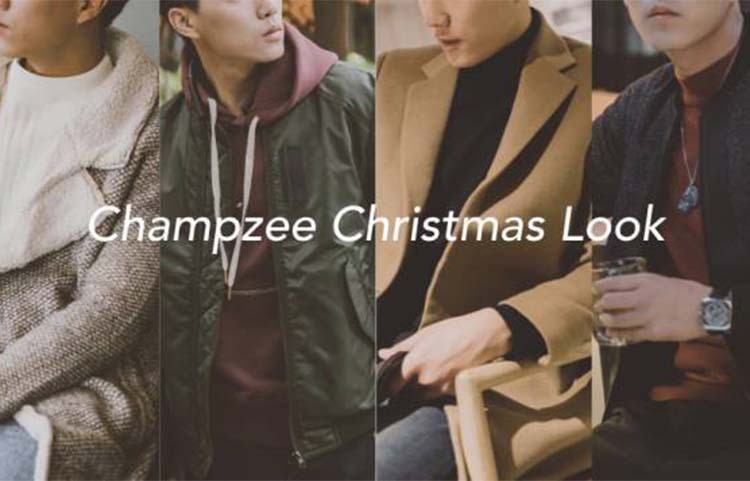 The men’s wear e-commerce platform Champzee (垂衣) recently closed a nearly $10 million series A financing round. The round was led by SIG China, with contribution from existing investors Vision Plus Capital and Crystal Stream Capital. Champzee was founded in 2015 and raised a pre-A round this September. What Champzee does, put simply, is offering personalized apparel solutions to subscribers. 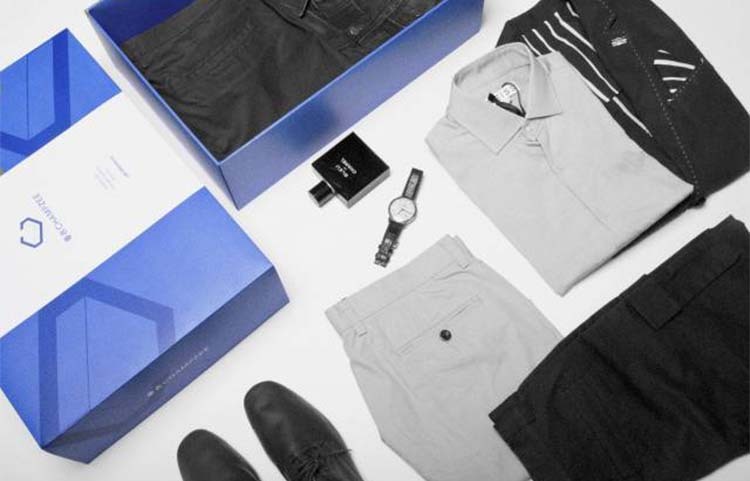 The company originally relied on a combination of data and expert styling to pick clothes for users but later shifted to a more data-oriented model, a step that made it more in line with its U.S. counterpart Stich Fix, which launched an IPO just last month. “Subscription-based e-commerce is about retention, not one-time purchases,” Chen Xi, founder and CEO of Champzee, told Kr-Asia. As a result, the company’s focus so far has been on acquiring users and improving efficiency. The idea is that it will be able to dilute the cost of customer acquisition by encouraging users to make multiple purchases and keeping them hooked for a longer period of time. Champzee offers mainly men’s wear at this stage. Out of each subscription box delivered, two to three items are purchased on average. Besides clothing, the subscription e-commerce model can and has been applied to a range of other product categories as well. 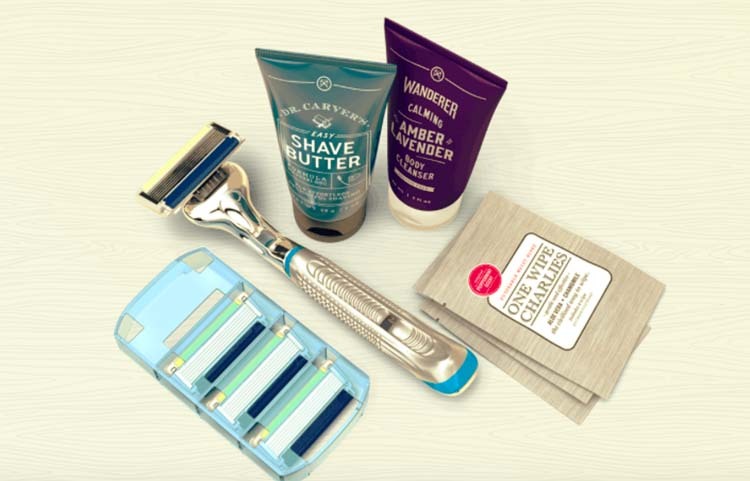 For example, the recipe and ingredient delivery service Blue Apron has expanded its offerings beyond meal kits to include wine and tableware, and Dollar Shave Club, a subscription-based retailer specializing in razor blades, is already offering a dozen different categories of products. Both companies have developed product mixes around the needs of their existing users, and consequently built stronger relationships with targeted customers. Dollar Shave Club’s Starter set. Screenshot from Dollar Shave Club website. Champzee looks to include more categories into its product portfolio too, said Chen. But the company has yet to map out a detailed plan. Given that it’s been serving mostly male customers, wine and personal grooming products like razors are possible categories Champzee may branch out into. They are also more standard products for men compared with clothing and are therefore relatively easy to operate for Champzee. Meanwhile, Stich Fix has taken a different approach to expansion. It began by catering only to women and has subsequently expanded to men’s clothing and plus sizes. In other words, instead of branching out to new areas, the company has chosen to broaden the reach of its existing product category. That’s also in Champzee’s plan. According to Chen, once the company establishes a firm foothold in the market for men’s clothing, it will start offering apparel retail services to other segments of the population. It’s worth noting that, among Champzee’s current subscribers, 10% are females who use Champzee’s services to buy clothes for their other half. This suggests that female customers are open to the idea of shopping through subscription boxes, which may pave the way for Champzee’s tapping into the women’s clothing market in the future. Female and male customers are attracted by different aspects of the subscription-based shopping experience. For men, it’s all about convenience, but women tend to find the provider’s ability to predict what they like and the “try and buy” feature more appealing. It should be pointed out that since women have higher and more diversified requirements for clothing than men, selling women’s clothes may be more challenging. Champzee has established partnerships with over 200 brands, which include not only the mass-market brands one may find in shopping malls, but also some designer brands and young brands. It’s also cooperating with fashion buyers. With respect to inventory management, the company maintains a low inventory level, with sales-to-inventory ratio approaching 100% over a 40-day period. Subscription-based e-commerce is more than just a shopping alternative that differs from traditional shopping in how products are purchased or at what point payments are made. 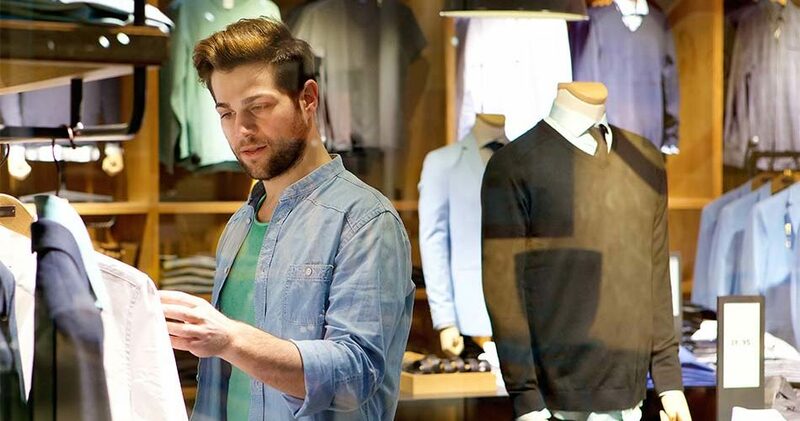 It’s providing retailers with a new distribution channel. The trend in the fashion industry is towards personalization and market segmentation. Customer groups are becoming smaller and more decentralized as well. That means in the future, precision and efficiency will matter more than the size of a platform’s customer base. This fits perfectly into the nature of subscription-based e-retailing. Plus, e-commerce sites with massive numbers of subscribers can serve as a testing ground for brands’ new offerings. From the perspective of consumers, while the young generation are quick to embrace new things, many are deterred by the cost of making mistakes with their choices and have therefore opted for more expensive products, assuming that high price equals high quality. Well, they no longer need to because the “try and buy” model has done away with the risk of getting what they don’t care for. New consumer groups, new demands and new products have given birth to a new channel. The competitiveness of a subscription-based e-commerce platform is largely determined by whether it’s able to build strong ties with customers. In this sense, it may make more sense for a platform to branch out into new categories than expanding the reach of its existing product category.